Goyt Valley, Errwood Hall Ruins and the surround area of Errwood Reservoir is an absolute gem of a location right on my Buxton doorstep. Ideal for all you adventurers out there, it makes a perfect backdrop for engagement shoot. Back in March I met up with Jemma and Michael in the rolling hills of the Peak District for their engagement shoot ahead of their wedding at Cottons Hotel, Knutsford later this year. 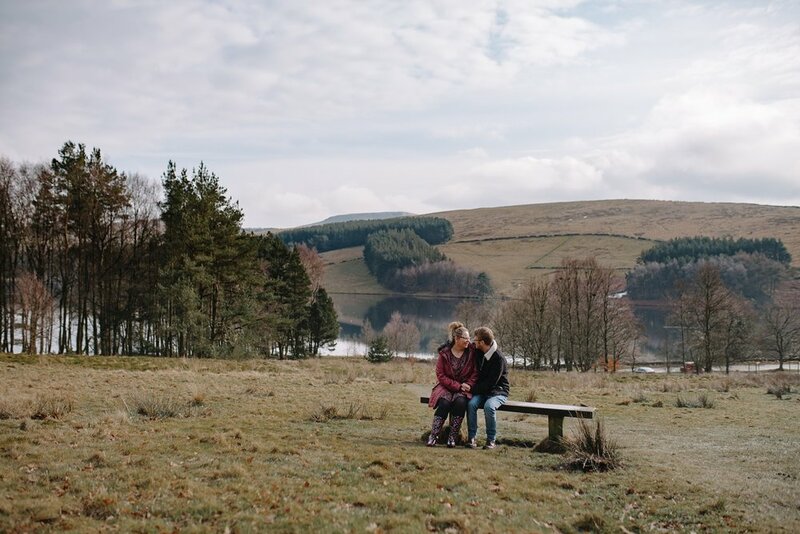 As soon as Jemma asked if we could get our walking boots on for their shoot I knew that the Goyt Valley would be the perfect place. Despite the “Beast from the East” causing no end of disruption across Derbyshire the previous week, the blue skies were out for these two love birds. Setting off from the carpark , wellies and blanket in hand, we took the rather muddy walk up to the ruins of Errwood Hall, making some doggy friends on the way and having lots of giggles, before heading back through the woods to Errwood reservoir for some awesome views. Despite the blue skies though it was still rather chilly. Jemma and Michael were such troopers. The cold didn’t seem to bother them at all. 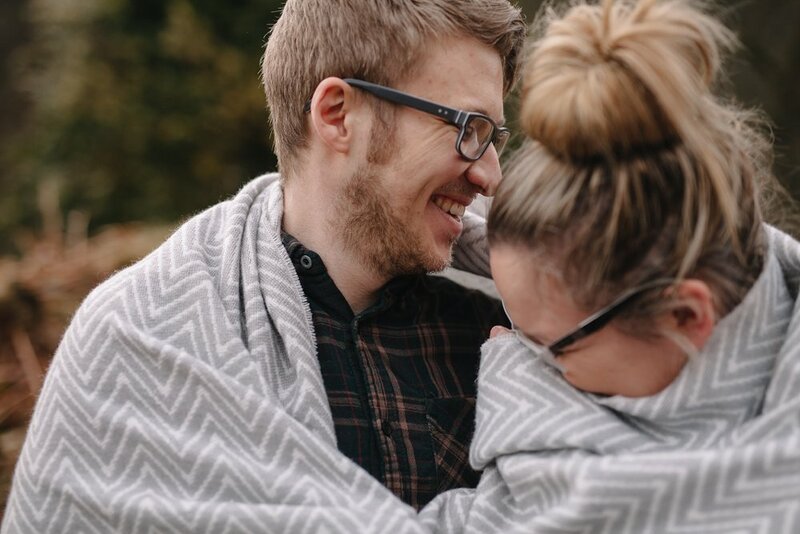 My trusty blanket still came in very useful though and helped to produce some extremely cute photos of the pair which Jemma has made clear she absolutely loves.